Creating your own promos is as easy as point and click... use our image library or add your own images. Just Like You Do "Offline"
Our easy system lets you group your stores by gas brand, food service, car wash, field reps, etc. 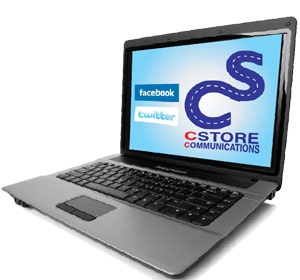 CStore Communications has been endorsed by SAS to develop a website and social media platform with the convenience store retailer in mind.We understand time is your most precious asset, and you don’t have hours and hoursto manage a website or to learn how.That’s why we built an online system tomake it all easy to manage with even the most basic of computer skills. Most of the work is already done for you. SAS marketing team membershave already pre-entered monthly promotions into your system. Photos,descriptions and suggested promotional pricing will be waiting for you to“push” to your website and social media platforms. Accept the promo as-is or modify to your choosing. Adding 30-40 new promotions every month to your website takes just minutes. We know your time is better spent selling than programming. That’s the CStore Communications difference! CStore Communications is a division of Houser & Hennessee Advertising, a full-service advertising and marketing firm established in 1986, with over 10 years of experience in the CStore industry.